Valentines day and week are very exciting for us here at Judy’s Central Point Florist. In fact, Valentines Month is our second busiest month of the entire year. Can you guess at the our busiest month? May with Mother’s Day tops February and Valentines Day flowers Medford Oregon. 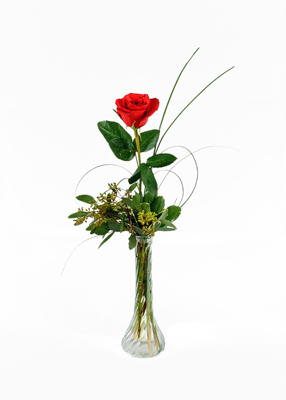 There are a number of ways we can help you with Valentines Day Flowers Medford Oregon. Call us at 541-664-1878, stop in our store at 337 East Pine St. Central Point, Oregon or shop with us online at www.judysflorist.com/Valentines. Both pick up and delivery are always available. Any way you choose, we are ready to help. For delivery of Valentines Day Flowers Medford Oregon we offer the largest delivery area in Southern Oregon. In Jackson County, we deliver daily to Medford Oregon, Central Point, White City, Eagle Point, Ashland Oregon, Talent, Gold Hill, Phoenix Oregon and Jacksonville Oregon. We also deliver to most of Josephine county Oregon through our Judy’s Grants Pass Florist. We know roses are very popular for Valentines Day and we off many options and colors. For colors, red, pink, white and lavender are the most popular Valentines Day colors. For options, a single roses bud vase, double, triples, half dozen, dozen, two dozen and we will even see a three dozen bouquet or two. If roses are not her favorite maybe a beautiful bouquet that includes roses will be perfect. With Valentines Day Flowers Medford Oregon and surrounding areas we will help you find the right flowers for you and your valentine. Ready to help when you need us most. Even if you just have a question, give us a call. We really do believe in great customer service and stand behind our flowers and gifts 100%. Judy’s Central Point Florist and Grants Pass Florist have been making the occasion special for more than 35 years. be in contact extra about your article on AOL? I require an expert on this house to resolve my problem. I has been looking through a few of your articles on this website and I believe this internet site is very informative! Keep in posting. Thank you. I’m taking that as yes to check the box. That’s the best guess I had for it, but nice to have clarity. up what I had witten annd say, I’m thoroughly enjoying your blog. for spending some time to discuss this matter here on your web page. in getting my ideas out there. I truly do enjoy writing but it just seems like the first 10 to 15 minutes are generally wasted just trying to figure out how to begin. Any suggestions or hints? Hello! Someoine in my Facebook group shared this website with us so I came to look it over. be tweeting this to myy followers! Exceptional blog and great style andd design. had problems with hackers and I’mlooking at alternatives for another platform. not be a taboo matter but generally folks don’t discuss these subjects. of it. Thus that’s why this piece of writing is great. Thanks! amend your site, ɦow could і subscribe fοr a blog site? Spot on with this write-up, I really feel this web site needs far more attention. I was more than happy to uncover this great site. I need to to thank you for your time for this particularly fantastic read!! also have you bookmarked to check out new things in your site.